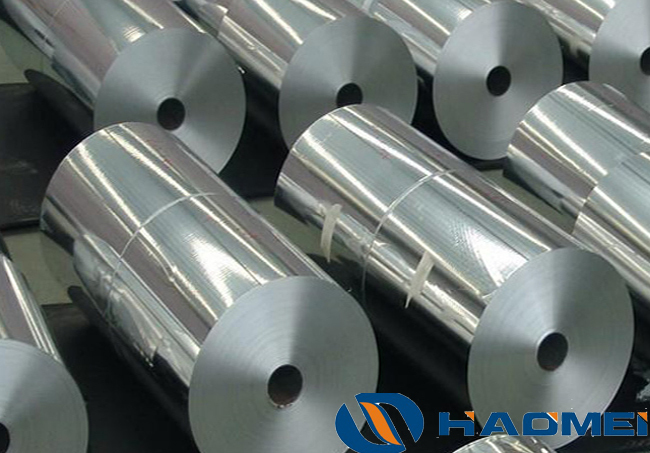 8079 aluminum alloy together with 8011 aluminum alloy and 8021 aluminum alloy become 8000 series aluminum alloy. 8079 aluminum foil not only has the advantages of moisture resistance, air tightness, shading, abrasion and aroma, non-toxic and tasteless, but also because of its elegant silvery white luster, it is easy to produce all sorts of colorful beautiful designs and patterns, and therefore becomes new favor of people of all ages. 8079 aluminum foil is widely used in food packaging, pharmaceutical packaging, lunch box materials, battery pouch and so on. The main material temper are O, H22, H24, the thickness is 0.018-0.2mm, the width is 100-1600mm. Why does 8079 aluminum foil becomes the mew favor 8000 series aluminum foil? For it has many performance advantages. 1, 8079 aluminum foil has passed bacteria, fungi and other testing, non-toxic, tasteless, safe and hygienic. So it can be used in the food package industry, and it is not harmful to human body. 2, 8079 aluminum foil has high moisture resistance, gas resistance and flavor preservation, can protect the packaged food most effectively. So it can be the ideal material for packaging food and other goods. 3, Remain stable shape at high temperature and low temperature, no deformation and expansion at the temperature of -73~371°C. So it can be used in many places and circumstance. 4,It has excellent electrical conductivity and light shielding property.